One of the specific projects of the Joint Commission Working Group on Underrepresented Groups in Surveying is to provide guidelines for FIG in 2006. Therefore the Working Group organizes a Workshop on Wednesday 20 April 14:00-15:30, Suite 2, to discuss Draft Guidelines to Enhance the Situation of Under-represented Groups in FIG. One of the policy issues of the Joint Commission Working Group on Underrepresented Groups in Surveying is to enhance fair competition for minority groups. Are there any minority groups in your country which have problems with fair competition, for example getting an order or a job? If so, please give a short description. Did you make this experience by yourself? Is this a topic to deal with during the FIG congress 2006 in Munich? Although Dr. Irene K. Fischer prepared, published, or presented over 120 technical papers and reports, much of her work was classified under military security rules. For many years, the bulk of the American surveying community was unaware of the enormity of the Fischer oeuvre. Fifteen years ago, her personal papers were donated to the Schlesinger Library at Radcliffe College in Cambridge, Massachusetts. Included were her non-classifed papers, and her memoir entitled, Geodesy? What’s That? My Personal Involvement in the Age-Old Quest for the Size and Shape of the Earth. Over the past year, the American Congress on Surveying and Mapping (ACSM) has devoted much of each issue of its Bulletin to excerpts from Fischer’s memoirs. In his preface to the ACSM publication, Fischer’s former colleague Bernard Chovitz referred to her as one of the most renowned geodesists of the third quarter of the twentieth century. Yet, this fact alone makes her one of the most renowned geodesists of ALL time, because according to Chovitz, the third quarter of the twentieth century witnessed “the transformation of geodesy from a regional to a global enterprise.” A mathematician who had been educated in descriptive and projective geometry at the Vienna Institute of Technology, Fischer insisted by 1954 that the traditional “development,” or two dimensional, method of geodetic computation, which led to cumulative error over long distances, should be discarded whenever possible in favor of a “projection,” or three dimensional, approach. She also recognized very early that latitude and longitude, rather than plane coordinates, would better serve the global needs of the future, and that the geographic location of a place would be the same, no matter how computed. Considered elementary principles today, such conjectures were radical for a time when reference ellipsoids and useful horizontal datums existed independently from continent to continent. However, from her outsider’s mathematical perspective, it was the independence of those networks that bothered her. She and her team patiently and meticulously sorted “geoid pieces,” analyzing astrogeodetic and gravimetric data. By 1957, she had developed the first North American geoid chart to cover the entire continent. Furthermore, she had linked eastern and western hemispheres, representing networks in terms of geoidal heights, minimizing them, and deriving a world solution. Her presentations that year, and her technical report the following year, were monumental contributions to her field. Throughout her pursuit of the figure of the Earth she enjoyed the relationship of that effort to other major projects in geodesy. Her updates to geodetic science helped determine the parallax of the moon, and during the parallax studies, her language skills provided a breakthrough: she discovered in past literature a linguistics inaccuracy and its resulting error in mathematics. In other outreaching activity, her geoid studies went hand in hand with investigations of the lingering effects of the last ice age. Fischer was intrigued by research into post glacial uplift, and gained many friends in the geophysical community. Other corollaries to her work were carried into the area of isostasy, and Fischer participated in the earliest interdisciplinary studies in marine geodesy. She was also among the earliest researchers during the frustrating infancy of satellite geodesy, where she was instrumental in making the first detailed comparisons of satellite to terrestrial solutions in the world datum puzzle. Maintaining throughout her career that her analyses of the size and shape of the Earth should not be preempted by a few inferior conclusions of other agencies, such as the Navy and Air Force, Fischer ultimately summarized the basis of her research, and the multiple expansions and revisions thereof, in her article, “The Figure of the Earth, Changes in Concepts,” for Geophysical Surveys in 1975. At the very beginning of her career in geodesy, Fischer had quickly taught herself the basics of geodetic tables, datums, transformations, gravity studies, astronomy, long lines, flare triangulation, and guided missiles. 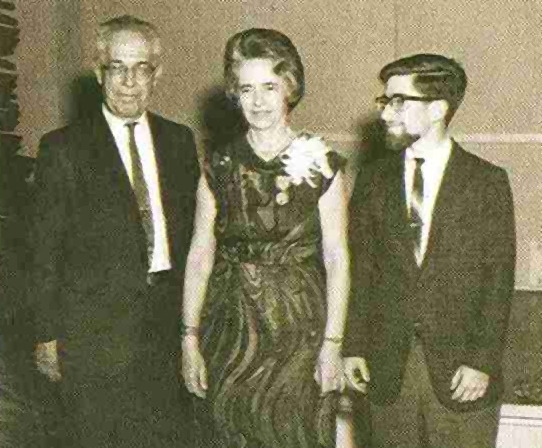 Yet, in her memoirs, she is quick to thank her mentors, such as John O’Keefe, whom she called “the soul and driving force” of the geodetic branch of the AMS before he left for later work at the National Aeronautics and Space Administration. Long before artificial satellites, O’Keefe was known to the geodetic community as a curious and inspirational scientist, who explored extraterrestrial methods of geodesy. His scientific enthusiasm and his natural teaching ability allowed him to become a major influence in the adoption of the Universal Transverse Mercator projection outside the military community. An expert on celestial mechanics, O’Keefe had predicted at the launch of Sputnik that geodesy would make more advances in the next 18 months than it had in the past 50 years. In fact, he immediately acquired the Sputnik ephemeris for the educational use of his colleagues. O’Keefe had eased Fischer’s transition from theoretical to applied mathematics. Also, by explaining that she was reducing the errors that could be caused by geodetic ignorance, he had guided her through the moral dilemma presented by the potential military uses of her work. His scientific enthusiasm and his natural teaching ability allowed him to become a major influence in his field, yet Fischer was not afraid to vehemently oppose his commitment to the traditional, development approach to geodetic computation when she knew that the three dimensional method would be mathematically correct. Rarely, but at times, her own agency ignored Fischer’s expertise. Working on the “Figure of the Earth” project in 1955, Fischer had derived and wanted to utilize a value for the Earth’s oblateness of 1/298.1 (the fraction by which the polar axis is foreshortened by the equatorial radius). In 1924, the value of 1/297 had been accepted “haphazardly,” she said, by the International Association of Geodesy. Fischer was not permitted to use her value, however, because she would be disagreeing with the accepted literature. Within a short time, satellite data indicated the oblateness of the Earth to be 1/298.3, and Fischer was vindicated. Although the correction required her to amend her own previous work on the world datum, for which she was not allowed to use her own derived value of the Earth’s flattening at the poles, Fischer goodheartedly quipped that the satellites had not accepted the literature either. Perhaps to assuage their guilt over mistrusting Fischer’s early computations, colleagues in her agency referred to her revised work as the “World Datum of Irene Fischer.” She, however, pushed for acceptance of the term “Mercury Datum of 1960.” Seven years later, she was still revising the Mercury Datum, due to the wealth of satellite data she had begun to accumulate and analyze. Internationally respected, she presided over the type of discussions that continued a generation after her retirement, debates over the appropriate time to adopt a new international ellipsoid. Several awards and accolades were showered upon Fischer over the years, and in 1967, Fischer received the highest awards for civilian service from both the Army and the Department of Defense. Likewise, she took pride in her team, and nominated members of her staff for various awards. With her husband and son at her side, Irene Fischer accepts the Distinguished Civilian Service Award from the U.S. Dept. of Defense in May, 1967. Fischer was supportive of women in science. She admired her colleague and assistant Mary Slutsky, in whose work she never found an error. However, “there was no chance that one of mine could slip by her,” Fischer commended. Women in Fischer’s office took lunch together at special times, but Fischer was disturbed that the restaurants of Washington, D.C. would not admit her African American colleagues in the pre-Civil Rights era. She circumvented the problem whenever she could, by arranging private locations for the lunches, where all of her female colleagues could attend. For a number of years, Fischer was fearful of attending scientific conferences in Europe. With her husband and daughter, she had fled her native Austria during World War II, but the trauma stayed with her. Perhaps sensing her trepidation, European geodesists made an effort to welcome her, and her fears eventually subsided. She remained grateful for their courtesy, and cited them in her memoirs. “Their friendliness erased somewhat the eerie feeling of unreality,” she said, “which colored my stay in [Europe] about twenty years after [the Anschluss].” She later received an honorary doctorate from the University of Karlsruhe in Germany. Her geodetic career began two generations after American women had won the right to vote, and a generation prior to the second women’s movement. This must have been akin to having the right to speak to an audience who had no right to listen. She knew that her work violated American myths about women in science. Through her quiet dignity and unflagging capability, she became a respected example of scientists in action, dispelling the myths with every step she took. Today’s female surveyors can and should look to her with pride in her accomplishments. The science community can and should look to her for the extreme thoroughness with which she investigated details. Government agencies can and should look to her for articulate and constructive criticism of their inefficiency. Everyone can and should look to her sense of humor and courage of conviction. © Copyright 2005 Gabriele Dasse. Permission is granted to photocopy in limited quantity for educational purposes. Other requests to photocopy or otherwise reproduce material in this newsletter should be addressed to the Editor.